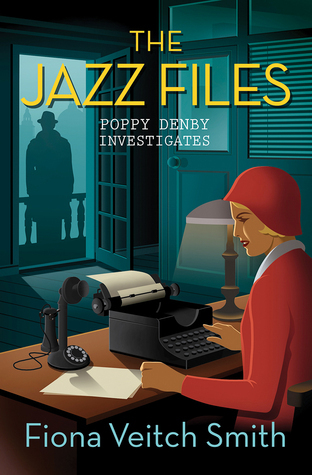 Today I'm featuring The Jazz Files by Fiona Veitch Smith, which I borrowed from the library. It is the first book in a new historical mystery series set in London in the early twentieth century. A scattering of snow lay across the railway yard, transforming the industrial clutter into a picture postcard: a work of art that could be hung for a night but removed when light and sanity returned. A woman, whose skeletal frame was wrapped in a coat that had once been worn to Royal Ascot and a silk scarf that had graced the owner's neck at a reception at Windsor Castle, picked her way from sleeper to sleeper. She hoped to reach the commuter station at Slough before the snow soaked through her kidskin shoes and her frozen fingers lost all feeling. A whiz, squeal, bang caught her attention and she watched as green, blue, and red flares lit up the sky above the roof of the locomotive sheds. She wondered for a while what it might be, not really caring, but at least it gave her mind something to think about apart from the limb-numbing cold. Page 56: "It had taken him a while to agree to the delivery. He had been told when he first got the job that he should not engage with any of the residents." 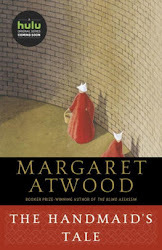 My thoughts: I'm always interested in finding a new historical series, and look forward to reading this one which is set in one of my favorite locations. From Goodreads: Introducing Poppy Denby, a young journalist in London during the Roaring Twenties, investigating crime in the highest social circles!